Thought's signature bamboo vest top is back in two classic colours and is designed to sit comfortably close to the skin. Crafted from their much-loved blend of bamboo and organic cotton, this vest is naturally breathable and kind to your skin. Thought's signature bamboo vest top is back in three classic colours and is designed to sit comfortably close to the skin. 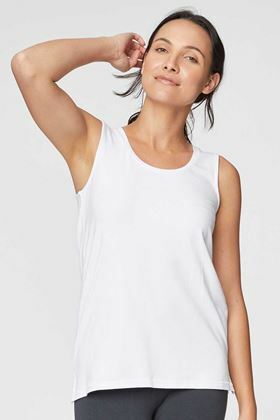 Crafted from their much-loved blend of bamboo and organic cotton, this vest is naturally breathable and kind to your skin. Wear it as a layer beneath your clothing or tuck it into jeans or a skirt!